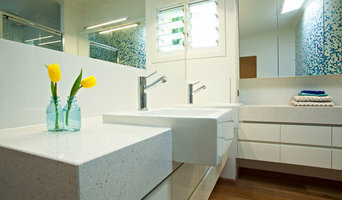 BOLD Architecture and Interior Design provides design services that aim to exceed expectations. Our designs work and possess soul. We strive for appropriateness; design solutions that are appropriate to place, use, occasion, season, budget and the client’s vision. We do this through collaboration and being responsive to the needs, values and ideas of our client. We are Mackay locals with a passion of the vitality and growth of our city and region. Choosing Stea is an astute investment. We specialise in bespoke solutions that deliver optimum value. Our focus is on timeless designs that maximise your return. Our commitment is to astute architecture that delivers. We listen, begin with the end in mind and have a track record in using economically sustainable development to reduce your costs. The design decisions we take have the greatest influence on your project’s Whole of Life Cost. This means every dollar spent with us can potentially generate the the greatest multiplier effect on your project’s economic return. 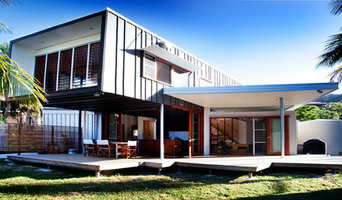 We are corporate members of the Australian Institute of Architects. Our award winning practice has a unified staff of well-qualified professionals who will work diligently to fulfill your brief. Talk to us and you’ll know within 10 minutes whether we’re the right firm for you. If your renovation is more than a simple benchtop replacement or roof re-tiling job, then it may be time to find an architect in Mackay, QLD, AU who can manage your project from start to finish. Depending on the architecture firm you hire, the scope can span from planning sustainable design into your renovations, to selecting furniture and even interior finishes. An architect is often the first person you hire for your project. Before taking steps to find an architect in Mackay, QLD, AU, ask yourself what you want to achieve from your renovation or home construction. Do you want to improve the liveability and sustainability of your home, or simply expand? What style of architecture do you prefer? Once you have established your motivation, research architects that have completed similar house designs in your Mackay locale and within a comparable budget to yours. Ideally, your Mackay, QLD, AU architect will be involved in all phases of the design process, from the initial concept to the completed construction. Your architect may be needed to select and hire Queensland subcontractors (e.g. builders, engineers and landscape architects) just as they may need to negotiate contracts with stakeholders. A good client-architect relationship will ensure they are your biggest advocate along the way during construction. Find residential architects on Houzz. To find the best Mackay, QLD, AU architect for your home design project, narrow your search to find professionals in Mackay, QLD, AU. Then browse their latest projects and read reviews. You can also look through photos of projects to find an interior architect or designer who has worked on a project similar to yours.